Creative Scholars’ toddler program is designed with your child’s development in mind. The classroom is organized in a way that provides the exploring toddler with many and varied opportunities to discover their effect on the world. An activity such as exploring cause and effect through the use of large tubes and cars, digging in a sand-filled sensory box, and mixing finger paints over a large canvas help the 1 year old make connections and increases their desire to further explore. The teaching staff at Creative Scholars supports a toddler’s desire for autonomy; we understand that when a toddler says “no”, what they mean is, “I want to try it myself”. We understand that 1 year olds are at a developmental crossroads in which they are motivated to try so many new things independently, but may need a lot of support as their motor skills and language are still being strengthened. Children in our toddler program are supported during this crossroads by teachers who facilitate a classroom full of rich language experiences, compassion, and joy. 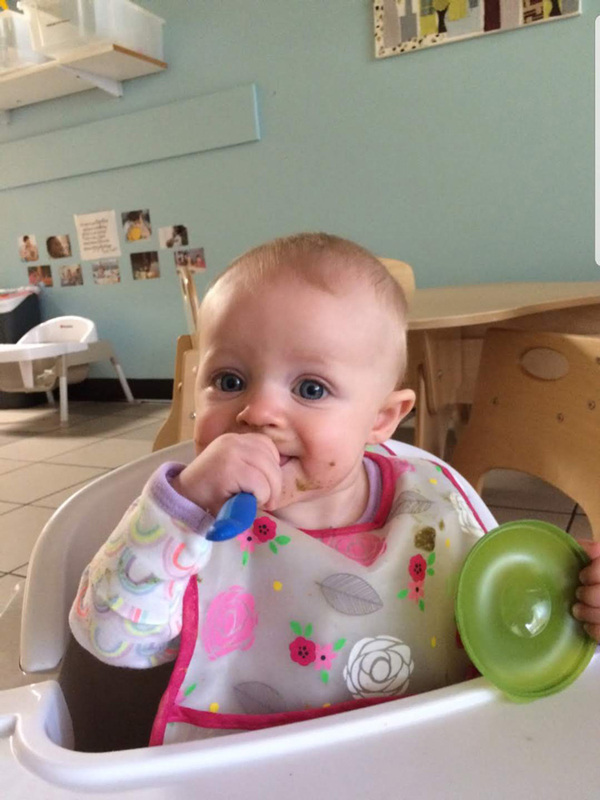 The children in the toddler program spend their days dancing, singing, listening to engaging stories, painting, drawing, building, exploring interesting materials, using clay, and building their motor skills through the use of our indoor gross motor room. Children in the toddler program do not need to have an interest in learning toilet mastery to enroll; wherever your child is at on the toilet training continuum, you will receive support and assistance.